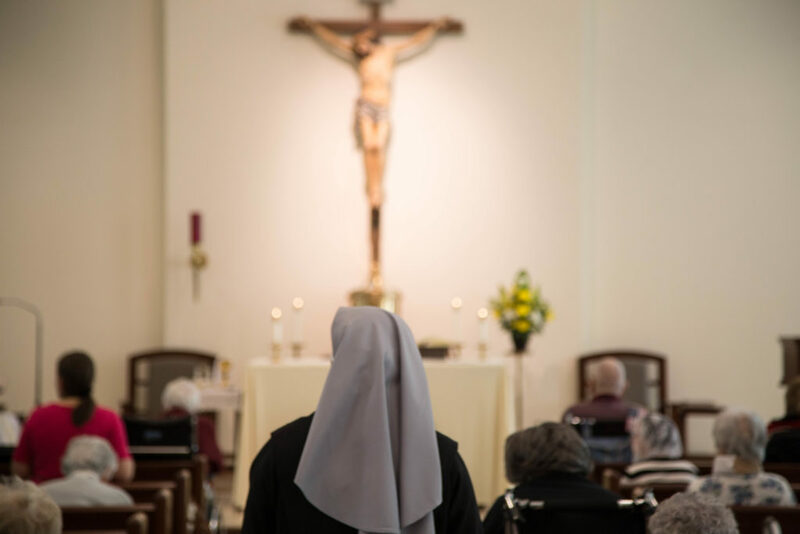 WASHINGTON D.C.–The Little Sisters of the Poor will now be forced to continue defending themselves from lawsuits by California and Pennsylvania that attempt to take away the nuns’ hard-won religious exemption from the HHS mandate. In State of California v. HHS and Commonwealth of Pennsylvania v. Trump, the order of Catholic nuns asked two separate federal courts to protect their religious exemption, following a five-year legal battle that went all the way to the Supreme Court. But moments ago, the Pennsylvania court ruled that Pennsylvania Attorney General Josh Shapiro can continue his challenge to the HHS religious exemption. This follows California’s ruling late yesterday, which allows Attorney General Xavier Becerra to continue his challenge to the HHS religious exemption, threatening the Little Sisters’ ministry of caring for the elderly poor. The new HHS rule, which was supposed to go into effect today, was the federal government’s effort to comply with injunctions requiring it to protect the Little Sisters of the Poor and other religious non-profits from providing services such as the week-after pill in their employee health care plans. Last week in court, Becket defended the Little Sisters of the Poor from the California and Pennsylvania-led lawsuits, arguing that the government was simply obeying federal civil rights laws by providing the religious exemption. “We never wanted this fight, and we regret that after a long legal battle it is still not over. We pray that we can once again devote our lives to our ministry of serving the elderly poor as we have for over 175 years without being forced to violate our faith,” said Mother Loraine Marie Maguire of the Little Sisters of the Poor. The Little Sisters spent five years battling the HHS mandate that would have forced them to violate their faith or pay millions in fines. The case went all the way to the Supreme Court, where the government admitted that it has ways to get contraceptives to women without using the Little Sisters of the Poor. Following the 2016 ruling from the U.S. Supreme Court and an Executive Order, HHS issued a new rule that finally protects the Little Sisters and other religious non-profits. The government had long exempted big businesses and even its own health care plans, yet California never sued the Obama administration for creating the exemptions that reach tens of millions more women than the Little Sisters’ exemption.